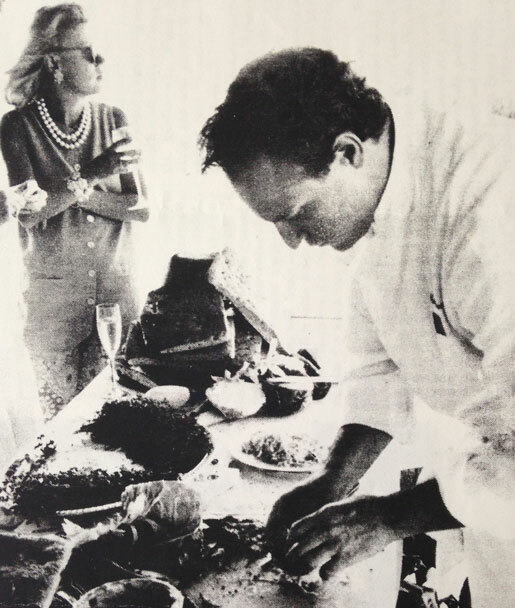 Here's Tom Colicchio at 1991's Chefs & Champagne, where he prepared grilled squab pastrami with caraway foccacia and corn relish. That year's benefit was held at the Water Mill estate on August 24. Chefs & Champagne now takes place at Wölffer Estate Vineyard, but the rest of the formula endures: talented chefs, elegant food, and endless bubbly. Check out pictures from this year's event on our Facebook page.